Over the past 35 years, David T. Maloof has become one of the most accomplished international transportation lawyers in the history of the United States. In 2016 he also published a history book entitled Christianity Matters: How Over Two Millennia the Meek and the Merciful Revolutionized Civilization — and Why It Needs to Happen Again, which reached the top 1% of sales on Amazon. David’s legal theories have gone all the way to the US Supreme Court, and the nearly one hundred published court decisions bearing his name as legal counsel are among the most ever recorded by any lawyer representing the interests of shippers seeking commercial justice. Utilizing the skills that he first perfected as an award winning television reporter seen on PBS, his investigations have helped to uncover the truth concerning some of history’s most famous transportation casualties, including the MV Elma Tres and MV El Faro ship sinkings. As part of an all-star team of ten of the most renowned maritime lawyers from around the world, for a decade he organized the International Cargo Recovery Conference. Today, he is the senior partner in the international law firm Maloof Browne LLC. 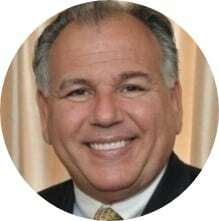 Maloof is a phi beta kappa graduate of Columbia College of Columbia University, where he was elected student council chairman and upon graduation named the most “faithful and deserving” member of his class. He obtained his law degree from the University Of Virginia Law School. He began his legal career as an intern in the United States Supreme Court and was a finalist for the Rhodes Scholarship. He lives in Darien, Connecticut with his wife Jean, also an attorney, and they have two grown children. For a number of years he ran the Men’s Forum at St. John Catholic Church in Darien and served there as a town official. He serves on the alumni board of Chaminade High School. He and his family have also become known for their work in a foreign refugee camp, where they assisted in developing a sports recreational facility, and each year Pax Christi Metro New York awards the Maloof Family Young Peacebuilder Award.